At Oké Poké you can choose from a variety of ingredients to create an authentic Poké dish. 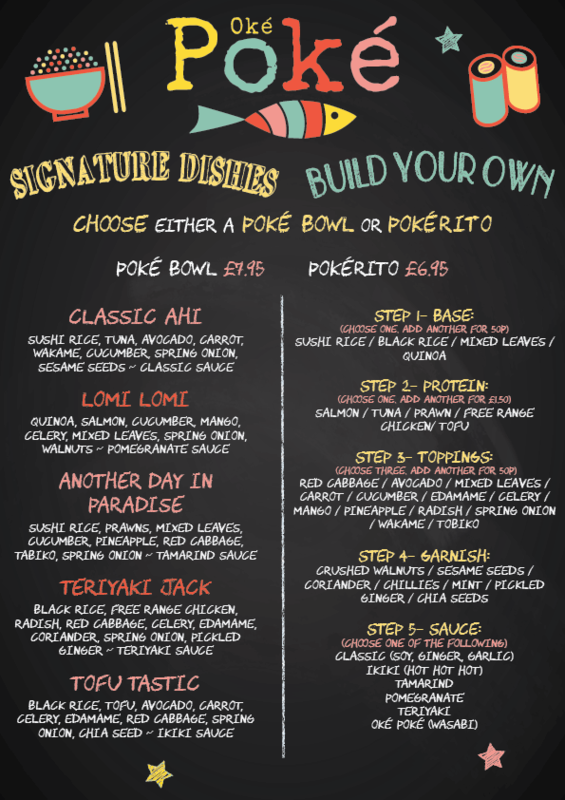 Choose from a classic Poké bowl or even build your own. We even offer Pokérito’s – all of your favourite ingredients wrapped into a ‘burrito’. 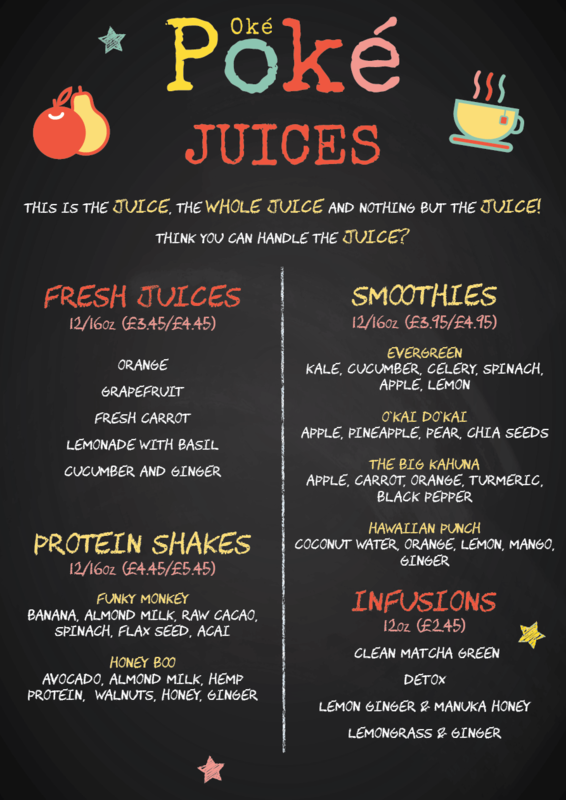 We offer a wide range of tasty drinks, including fresh juices, smoothies, protein shakes and infusions. All of them have been designed to pair perfectly with any Poké dish.